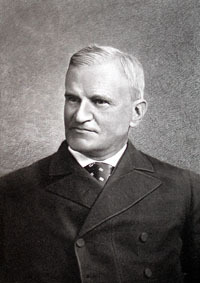 A Half-Century of Conflict was the last of Francis Parkman’s major works. The “final” work of his series on the French New World empire was written earlier. He feared he would die and considered the final work, covering the decline and fall of the empire during the Seven Years’ War, the most important. It was published in 1892, just before his death, eight years after Montacalm and Wolfe. The length of time to complete the work, which struck me as intellectually the most straight-forward of the works, suggests how Parkman’s age and health difficulties were getting to him. Maybe fatigue for this ambitious project also was getting to him. (As a reader of this massive work, I can understand that fatigue.) Since his youth, Parkman was unable to write or even read for more than a few minutes at a time. He suffered from nervous breakdowns. His hands shook so he has to write in a special box. Friends and associates read documents aloud to him. All of works, including his first history of Pontiac’s Rebellion and his memoirs of the Oregon trail, were written under the curse of this affliction. We may be quite lucky that any of these books were produced. I am not sure if these difficulties enrich the work, but they are worth pointing out. A Half-Century of Conflict is a story of the fragility of empire at its peak of power. Between 1700 and 1750, the French empire in the New World did reach its administrative, geographical, military, diplomatic, and economic peak. 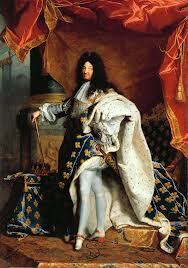 The rise of English power in Europe and America during the same years presented a constant threat to the French. 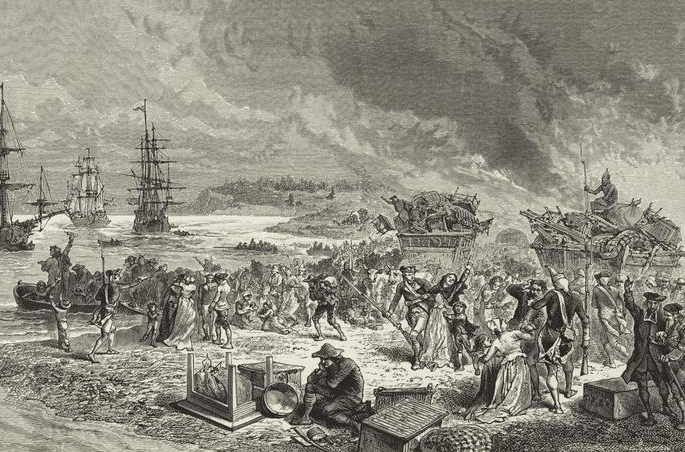 A series of brutal wars, mostly offshoots of distant European conflicts, drove the colonies into disorder and violence. My previous posts on Parkman have pointed out his argument, mostly unchanged over the near forty year evolution of this project. Parkman argues that the fall of the French empire was due to its reliance on religious and political absolutism. England’s success is based on its reliance on economic, religious, and political freedom. Rarely does Parkman systematically prove this point and any modern historian can poke holes into Parkman’s position from either side. Indeed, he spends so little time on conditions in England that the reader suspects Parkman maintains a prejudice. However, if there is a kernel of truth to Parkman’s claim that an empire of the people is destined to be more successful than an empire of kings, we have much to worry about in our situation of democracy at home and empire abroad. Such empires are not so easily toppled. A Half-Century of Conflict is mostly an account of the military conflicts that arose from the wars of Louis XIV and the turmoil that they caused at home. Since Parkman’s emphasis is on France, we are exploring an empire strained by war and internally fragile. The more ominous model of a the English alternative (an empire of relative liberty and home with exported oppression) is not fully studied. A large part of the fragility of the French empire came from its dependence on France and its monarchy, which left it vulnerable to incorporation into wider conflicts. French Canada likely has about as much in stake in the War of Spanish Succession as did Senegalese did in the First World War, but in both cases the periphery was drawn into the conflict at great cost to both the people living there and the empire itself. 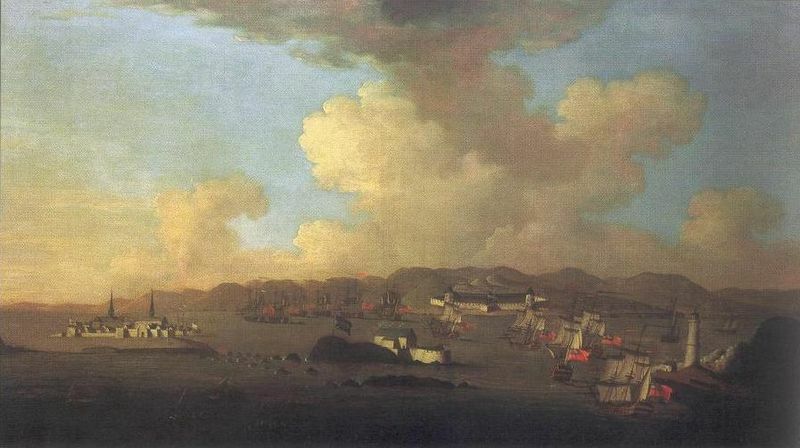 The siege of Louisbourg, part of the imperial extension of the War of Austrian Succession connects the horrors of war with the fragility of the empire at its peak with the internal enemies documented in Parkman’s account of La Salle. This siege led to the loss of Acadia until the peace treaty returned it. The siege led to a breakdown of discipline among the French soldiers and local residents, who turned to stealing to survive. La Salle learned that the class discipline encouraged disorder and resistance. The French empire had become no more democratic in the hundred years since La Salle’s explorations. Peace may have kept these internal enemies at bay, but the crisis of war allowed these forces to return. French Acadia and French Canada at large survived another two decades, in spite of, not because of its commitment to absolutism. In my next post, I will cover Parkman’s Montcalm and Wolfe and suggest what lessons we can draw from this account of a long dead empire. This book, resting in the middle of Francis Parkman’s history of the French Empire describes the empire at its peak, under its most effective leader Count Frontenac. 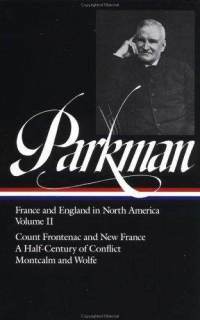 Parkman’s earlier four books explore the roots causes of the failure of the French empire in America but under the leadership of Frontenac, the possibility of correcting those internal contradictions emerged. One of Parkman’s major themes is the potential, in frontier-style environments, for individuals to make history. Frontenac was one of these people after becoming the governor of Quebec. He must be a great man since there is a statue to him. This volume is essentially a biography of Count Frontenac. Interestingly, Parkman shows that the one chance New France had for survival rested on an effective administrator and military commander. He challenged by power of Jesuits in New France but he was not a figure who wanted to rethink absolutism. So far, Count Frontenac and New France under Louis XIV is the first book in the series not to include (even in its subtext) a celebration of liberty as an alternative to absolutism and the Inquisition. It returns us, largely to the history of great men. I find it significant in this way that this book was published at the very year Reconstruction in the United States ended, putting to a stop one of the greatest democratic experiments in U.S. history. Historians date the beginning of the giaganstism of the gilded age in 1877. I cannot say for sure now if this influenced Parkman, who envisioned this work in his youth, but for the reader of the 1870s, looking for great men, Count Frontenac was a ready example thanks for Parkman’s scholarship. Frontenac is most well-known for his wars. Empire, of the absolutist variant (I am opened minded to other potential types of empire), can only be maintained through violence and administrative cruelty. Parkman notices that these wars inspired cruelty and even when successful were never fully won. Despite this, Frontenac did oversee the taming of Quebec’s greatest Indian enemies and the establishment of its broadest boundaries. Ultimately, political systems that rest on violence and administrative terror will prosper under the leadership of people who are the most legalistic, military-minded, and cruel. With The Old Regime in Canada, Parkman finally makes his diagnosis about why French absolutism and aristocracy led to the ruin of the French empire in the New World. He starts, interestingly enough, with Alexis de Tocqueville. “The physiognomy of a government can best be judged in its colonies, for there its characteristic traits usually appear larger and more distinct.” (1067) So Parkman means to make his criticism of the French Empire a criticism of European absolutism. Well, as I have already written, it seems to me that Parkman overstates the commitment of the English government to liberty either at home or in the colonies. 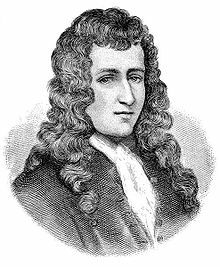 Nevertheless, at a time when most historians were content with the chronologically of the doings of kings and elite merchants and religious leaders, Parkman becomes the Thomas Paine of history by boldly rejecting monarchy and hierarchy. This social history of later 17th century New France is broken up into three parts. It is also the first to actually study the workings of the French Empire in its core. The earlier texts either looked to missions, explorers, or the empire’s fragile beginnings. The first part reveals the problem of bringing feudalism in the New World through the conflicts between various contenders for dominance of Acadia. This internal struggle between feudal families left them ill-prepared for the challenge of England. The victorious D’Aunay family expended the last of its wealth and blood on Acadia but left nothing for posterity. The second part is an extended look at the religious policy of Canada from the decline of the Huron mission. The Jesuits attempted a mission to the Iroquois at Onondaga and played a role in long conflicts between the Iroquois and the French-Canadian colonies. Rather than causing unity among the religious leaders of Canada, they were plagued with conflict. In a sense, the Inquisition had come to Canada to deal with a variety of heresies. If this was not bad enough, the royalists fought with the Jesuits who hoped for Papal leadership in the New World. On the leader of the Jesuits in New France, Francois Xavier Laval, the first bishop of Quebec, Parkman writes: “He thought himself above human law. In vindicating the assumed rights of the church, he invaded the rights of others, and used means from which a healthy conscience would have shrunk. All his thoughts and sympathies had run from childhood in ecclesiastical channels, and he cared for nothing outside the church. Prayer, meditation, and asceticism had leavened and moulded him. . . . He had passed from a life of visions to a life of actions. Earnest to fanaticism, he saw but one great object, the glory of God on earth. 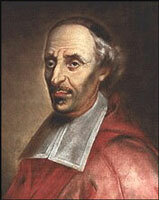 He was penetrated by the poisonous casuistry of the Jesuits, based on the assumption that all means are permitted when the end is the service of God; and as Laval, in his own opinion, was always doing the service of God, while his opponents were always doing that of the devil, he enjoyed, in the use of means, a latitude of which we have seen him avail himself.” (1222) In short, Laval introduced religious absolutism to the colony at the same time the King Louis XIV asserted monarchical absolutism on the secular forces of Canada. Liberty would have little space to thrive between these two forces. Parkman ends the book with an interesting dilemma. This absolutism crippled Canada’s development, he claims, but it was not the only influence. Existing alongside it was the Indians, the “wilderness,” and the unsettled working people. These guys look like they know how something about hard work and discipline. Parkman provides a richly documented warning against any of those who think that authority, hierarchy, and working 9-5 will create prosperity. Hierarchy breeds resistance sometimes, but it always creates laziness, a lack of creativity, and subservience. Whatever we imagine can replace capitalism and its hierarchies of wealth and power should take as one of its values the maximization of individual freedom. I reckon a historian years from now will look at the drudgery and tyranny of the early 21st century American workplace, the terrorist threat of unemployment, the welfare dole, and the exhaustion of long work days (which leaves too many of us intellectually capable of only watching television at the end of the day) and understand the social causes of the system’s decline. This map shows the three voyages of Rouen Robert Cavelier de La Salle. These three treks are recounted in the third volume of Francis Parkman’s history of the French Empire in the New World. The first of these descended the Ohio River. The second mapped the Great Lakes and the Mississippi. The third, which ended in La Salle’s death established a colony in present-day Texas. La Salle, looking like a rough and rowdy frontiersman. As always, Parkman is in awe of the adventures made empire builders like La Salle (or the Jesuits considered in my last post). Ultimately, La Salle would play the same role as these others, bringing to the New World the forces of absolutism and Roman Catholicism, which he claims is the root cause of the failure of the French empire in the Americas. At first glance, La Salle strikes us as different from some of the more aristocratic French empire builders. He was from a non-noble family, although wealthy. La Salle had a deep intellectual curiosity which led him to study with the Jesuits. He did not, however, become a zealot or a Protestant. He found his passion not in religious ecstasy but in the knowing of the unknown. 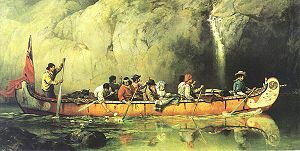 He had hoped to discover in the New World, the Northwest passage that would created a linkage between French holdings in Canada and Asia. His explorations may have established a French claim throughout much of the Mississippi valley, Louisiana and even Texas but the gains were fragile and plagued with frustrations. When reading the 300 pages of explorations, fort building, fund-raising, and diplomacy with Indians, any reader will find her ability to skim pushed to their limits. It takes a special perspective to read such an account closely. I will admit to missing quite enough of what Parkman has to say, but what I paid attention too is of enormous relevance. When we think about the fates of empires, the enemies tend to external. The barbarians at the gates of Rome, Gandhi organizing Indian workers for non-violent resistance, or Pontiaic’s unification of the Indians against he British colonists in North America. With this perspective it is easy to see the empire buildings as a unified class of exploiters. While I do not want to forgive the soldiers, workers, and sailors who helped construct empire of their many crimes, it does seem that for every bold act of resistance by the conquered, there are numerous small acts of resistance by untrustworthy but necessary allies of the conqueror. These internal opponents of empire include deserting sailors, soldiers who refuse to commit atrocities, runaway laborers, mutineers, and a motley crew of working people who find their loyalty to people across the walls of empire stronger than their loyalty to their odious, violent, and criminal bosses. To Parkman’s credit, he fully integrates these acts into his history. While La Salle made deals with Indians and remained relatively peaceful with various tribes, he was at war with his own workers. Even his death, at the hands of mutineers in Texas, suggests the ability of sailors, laborers and soldiers to pose an internal threat to empire. If France had only a dubious control over the Mississippi Valley, this was due to the resistsance of the working class Frenchmen and French Canadians La Salle recruited to man his canoes and forts. Take this one examples, in Parkman’s own words and ponder who the most reliable enemies of empire were. With this, Parkman begins the second volume of his Gibbonesque history of the French empire in America. This volume covers the interactions between the Jesuits, the Huron, the Algonquins, and Iroquois in the early seventeenth century, centering on the rise and fall of the Jesuit missions and the rise of the Iroquois empire, which rose to crush not only the Jesuit missions but several Indian societies as well. By telling this story, Parkman reminds us how fragile the French empire was in these early days (even if the English settlements were even more so). Parkman’s position is clear. While impressed with the Jesuit’s devotion, capacity for sacrifice, creativity, and curiosity, Parkman believes that the destruction of the Jesuits was ultimately a victory for religious freedom in North America. “Liberty may thank the Iroquois, that, by their insensate fury, the plans of her adversary were brought to nought, and a peril and a woe averted from her future. They ruined the trade which was the life-blood of New France; they stopped the current of her arteries, and made all her early years a misery and a terror. Not that they changed her destinies. The contest on this continent between Liberty and Absolutism was never doubtful; but the triumph of one would have been dearly bought, and the downfall of the other incomplete.” (712) However impressive the Jesuits were, never does Parkman doubt that they were on the wrong side of history. They were representatives of Old World tyranny. I was similarly conflicted as I read this volume, coming up with, at various times, two different readings. This volume should rightfully be titled The Jesuits and Iroquois in North America. Parkman insists throughout this work that the choice for America was between English liberty and French absolutism. However, any reader of The Jesuits in North American will see that there was a third alternative. The rise of the Iroquois presented a challenge to the diplomatic influence of the French, other Indian societies, and potentially to the settler societies in Virginia and Massachusetts. Their challenge was not only diplomatic and military. The Iroquois presented a vision of society, government, culture, and gender that challenged everything both European empires presented. Instead of the power of capital or the power of family and rank, the Iroquois rose to offic eby “address, ability or valor.” (376) Instead of monarchy and slavery, the Iroqouis constructed the “council-fire.” Instead of a criminal justice system based on execution and revenge, the Iroquois incorporated atonement and reconciliation into their dealings with criminals. “A body of hereditary oligarchs was the head of the nation, yet the nation was essentially democratic. Not that the Iroquois were levellers. None were more prompt to acknowledge superiority and defer to it, whether established by usage and prescription, or the result of personal endowment. Yet each man, whether of high or love degree, had a voice in the conduct of affairs, and was never for a moment divorced from his wild spirit.” (382) Parkman also noticed that the Iroquois religion had a concept of God that was already beyond good and evil. The most difficult task for a post-theist is to escape the moral authority of a religion otherwise dead. These Indians had already inoculated themselves from this moral burden of religion, forcing humanity to take up moral questions as free individuals and communities. I will leave the question of whether the Iroquois had a fighting change to assert their vision over North America. They were shattered by diseases brought by Europeans. Yet, in the 17th century, the presented an alternative vision of empire. The main story of this volume is the Jesuit missions among the Huron until the martyrdom of the missionaries by the Iroquois. 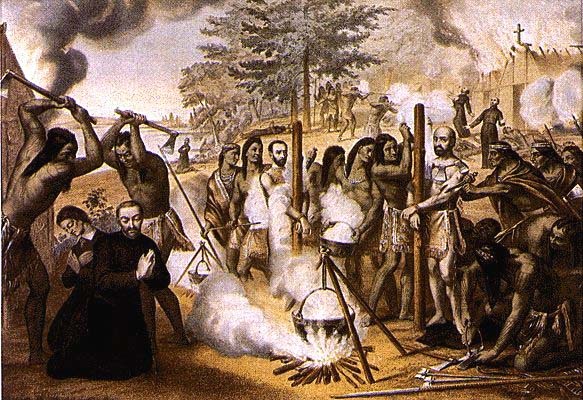 Le Jeune, Jean de Brebeuf, Isaac Jogues, and the others saw themselves as the vanguard of a religious revolution that would bring the Christianity to the Great Lakes Indians. It is difficult not to read Parkman’s account of these missionaries without some awe at their amazing commitment. Unlike the Inquisition back in Europe, these Jesuits were the persecuted, at every moment at risk of being slaughtered by their enemies and faux-friends. They contain the spirit that the revolutionary needs, most importantly the rejection of half-measures. When I read about the Jesuits baptizing children dying of diseases, my disgust at the underhanded nature of their “medicine” is tempered by an admiration for their refusal to accept defeat (and for them the loss of a single soul). Before we go too far, through, remember that the Jesuits were at the same time forces of the counter-revolution, at least if we take Parkman’s reading. “The Roman Church, sunk in disease and corruption when the Reformation began, was roused by that fierce trumpet blast to purge and brace herself anew. Unable to advance, she drew back to the fresher and comparatively pure life of the past; and the fervors of mediaeval Christianity were renewed in the sixteenth century. In many of its aspects, this enterprise of Montreal belonged to the time of the first Crusades.” (545) So who were these French Jesuits in North America, a Leninist vanguard party, Crusaders, or Inquisitors? In any case, their honesty was tested and they were martyred and their mission collapsed along with the Huron. In any case, I complete this second volume of Parkman’s massive history with a new respect for both the Iroquois alternative and the Jesuit zealotry. Perhaps we need a combination of these two forces again to face our predicament, borrowing from that willingness to sacrifice with a clear alternative vision to global capital.